She recently burned the liberal-biased mainstream media with a laser-sharp singer about how their coverage is completely slanted against Trump, and it got the entire political world talking. Said Ingraham via her Twitter account, “Obama Admin illegally spied on American citizens, liberals yawn. 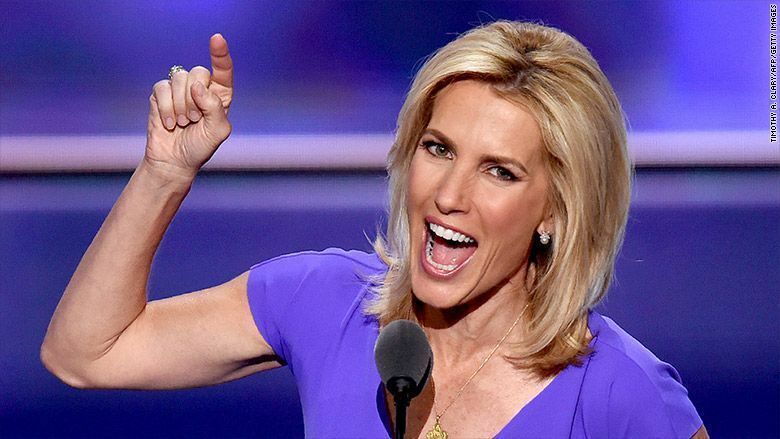 Meanwhile, FBI leaking info to media to try to intimidate Trump.” Ingraham was making reference to a troubling new report that showed how Obama’s NSA ran a large-scale spying operation against Americans without court warrants. 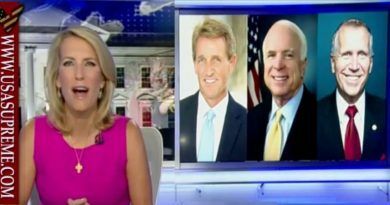 Judge Andrew Napolitano shared Ingraham’s anger that the mainstream media outlets have all decided not to report on this news. Napolitano called it a “profound violation of the Fourth Amendment.” Napolitano’s co-panelist Jonah Goldberg of the National Review agreed, saying, “If this had happened under George W. Bush, the New York Times would be out there, the editors would be pouring jerrycans of gasoline over themselves, setting themselves on fire and protesting. 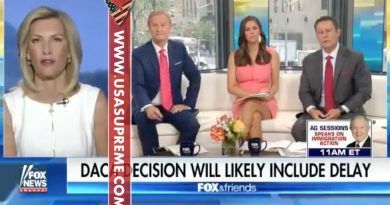 Do you agree with Laure Ingraham Tweet and Judge Napolitano statement? WATCH! 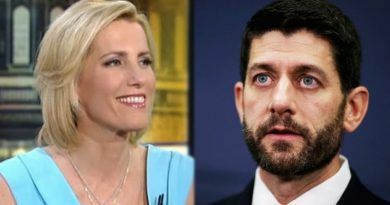 Laura Ingraham Rips Paul Ryan For Abandoning Trump! JMJ. Honestly, Y’all wasting your time. No is going after this or anything else because their rookies. Obamas people were in there 8 years of experience and running circles around Trump rookies. They are way, way ahead and know all the tricks. Plus DC Republicans don’t care. Dragging heals. The only way Trump can change all this is keep hammering away at his agenda, and hold more Rallies like West Virginia and get voters to vote in Trump People.